Fall Comfort Food: The Healthy Way! Fall has arrived and if you’re like me, you’ll soon be craving cozy comfort foods like mac n’cheese, chicken pot pies and aromatic morning pastries, loaves, muffins and scones. One of my goals for the upcoming season is to ‘healthy-up’ those irresistible comfort foods by adding more fruit, vegetables and grains to classic recipes like these. 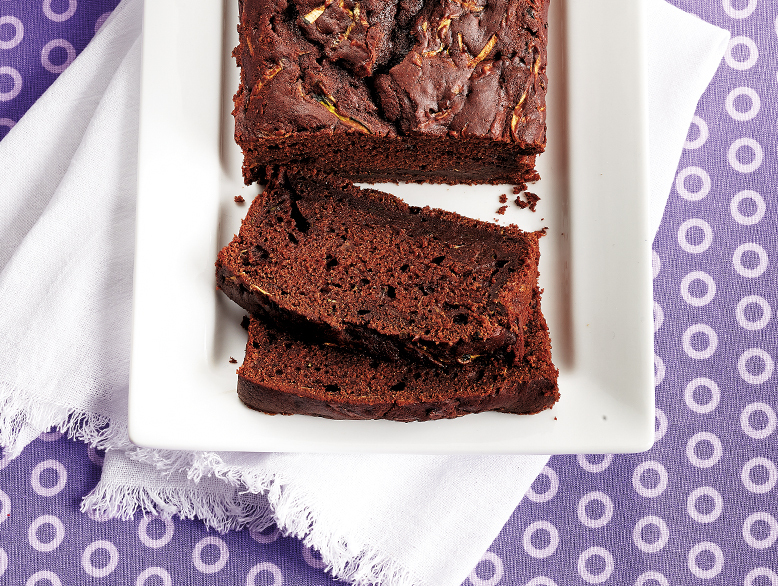 Chocolate Zucchini Bread Let’s start with the obvious: it’s rich, chocolatey and moist. Here’s the surprise: no one would ever in a million years guess that each loaf contains an entire shredded zucchini. Mapping to my fall mantra, this is great news as zucchini is jam packed with antioxidants and vitamin C. Much healthier and way more delicious than the traditional loaf from your local bake or coffee shop. I found this recipe on the Walmart Live Better website. I followed the recipe to a ‘t’ and it turned out beautifully. It’s also a great basic recipe which to add some extras, too (keeping in mind that while zucchini adds nutritional value and moisture, it doesn’t necessarily contribute significantly to the overall flavour of the loaf). Of course, the chocolate takes care of that! However, by simply adding a tablespoon of orange zest to the shredded zucchini or a shot of espresso to the milk, you can customize the flavour of the loaf and personalize the taste. Start by using quality ingredients; real butter, pure cocoa, fresh milk and eggs will give you the best flavour and the best results. If you’ve spent any time on this blog or my Instagram account, you’ll know that I do a lot of baking. I found the Great Value brand of baking cocoa to be excellent. TIP: allow all refrigerated ingredients to come to room temperature before using. This will help with even baking temperatures which ensures the middle of the loaf bakes faster. Preheat oven to 350 F. Spray a 9 x 5 inch loaf pan with oil. 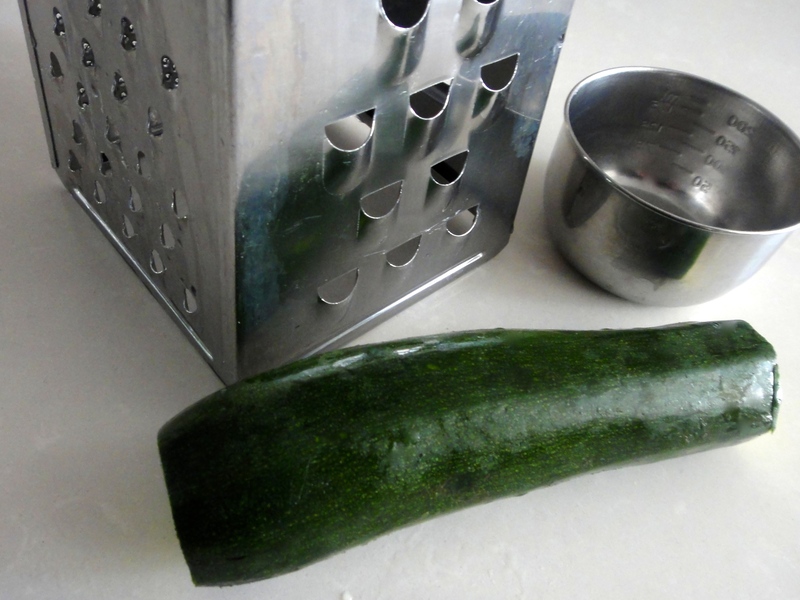 Grate zucchini, using the large holes on a box grater, onto a clean kitchen towel. Wrap towel around grated zucchini and squeeze out as much liquid as possible. Grated zucchini should measure about 1 cup. Stir flour with cocoa, baking powder and salt in a medium bowl. 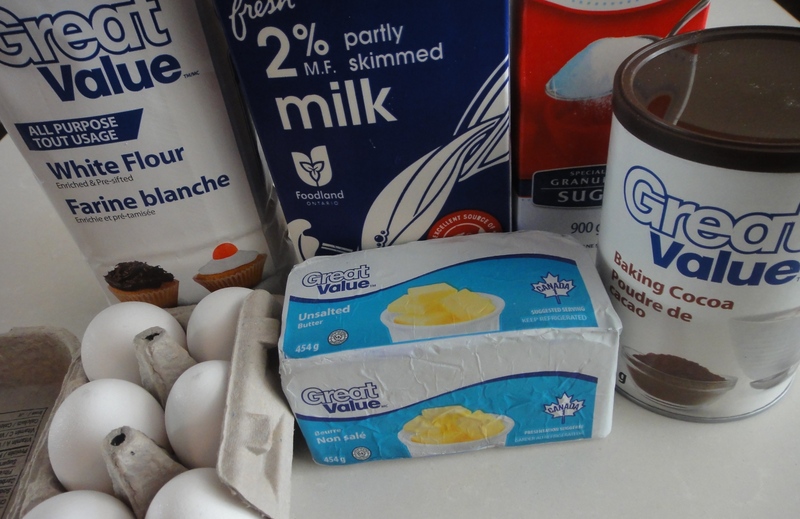 Beat sugar with butter in a large bowl, using a wooden spoon, until creamy. Beat in eggs, one at a time, until smooth. Stir in one-third of flour mixture, then half of milk. Repeat additions, ending with flour mixture. Stir in zucchini. Scrape batter into pan, smoothing top. Bake in centre of oven until a cake tester inserted into the centre of loaf comes out clean, about one hour. Let stand 10 minutes. Then carefully turn loaf onto a rack to cool. The loaf will keep well covered, at room temperature, up to three days (or frozen up to a month). (Originally published in the Walmart Live Better New Year 2015 issue). 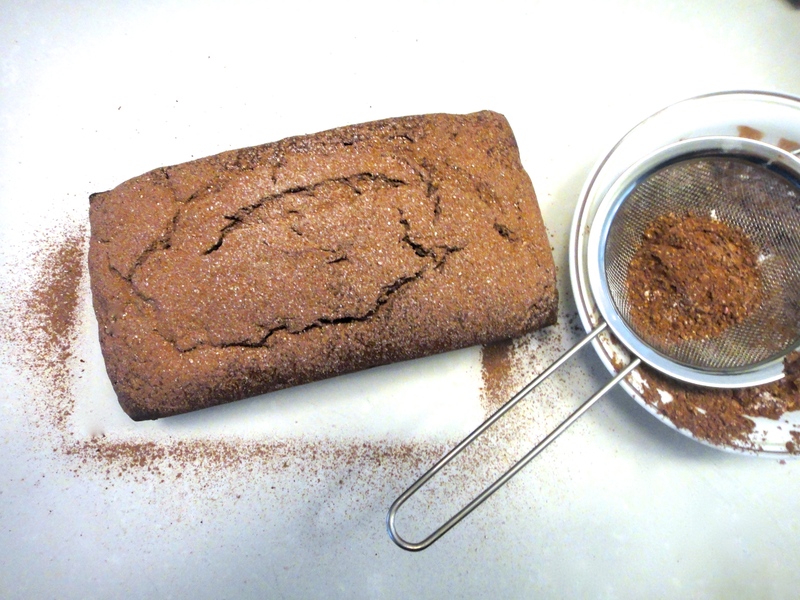 I dusted the top of my Chocolate Zucchini Bread with a blend of cocoa powder, icing sugar and a dash of cinnamon. It’s an easy and delicious way to ‘dress-up’ the loaf for presentation or to give as a gift. 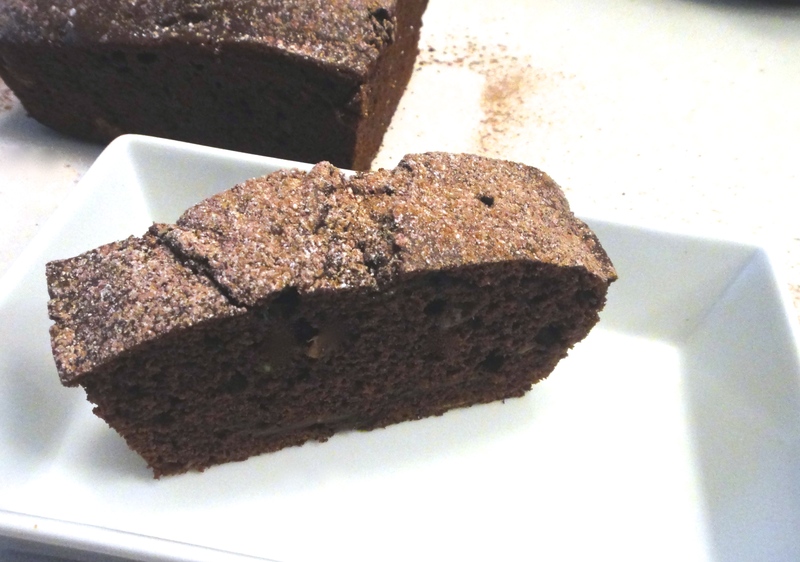 Moist, chocolatey and healthier! Now… time to get a BIG glass of milk!